Charged with DUI? What to do before court to improve options. If you are charged with drunk driving in Michigan there are general approaches to improve your chances for a favorable outcome before trial. 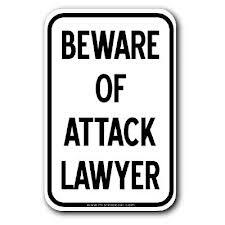 Do not do anything before checking with your attorney and getting case specific advice. There are things that can be done to help improve your chances of getting a favorable plea bargain, an acquittal and a lenient sentence, but there is no one-size-fits-all formula. It is important to determine how you got the drunk driving charge in order to improve things at sentencing. This can be done in several ways but one is to get an Alcohol Evaluation done by a substance abuse therapist. An expert can determine what, if any, problem may exist and set up a proactive plan to address it. On the other hand, if there is not any addiction or dependence, the substance abuse evaluator will provide a report indicating that there is not an issue with alcohol. A favorable evaluation can result in a reduced bond, more favorable plea bargain and a reduced sentence. An effective OWI defense attorney will initially take a position with the prosecution that you are not guilty, even in the face of seemingly overwhelming evidence. An attorney is most effective at plea or sentence bargaining or preparing for trial when starting from a power position and then determining what can be done to maintain or enhance negotiating power rather than starting off assuming there is nothing that can be done to help a client. Prosecutors and judges respect and tend to do more for lawyers who fight for their clients! In order to make full use of any approach to defending an alcohol or drug related driving charge like OWI, Impaired Driving or OWPD, you should contact an DUI defense attorney in Michigan that specializes in defending people charged with intoxicated driving. What Can I Do if I am Guilty of DUI? In some cases, the best thing to do is accept responsibility for what has happened. In others, the evidence may not be very strong and fighting the case may result in a better resolution than simplly pleading guilty. OWI law is so complex that few lawyers are actually qualified to analyze every aspect of a case for potential legal, factual, constitutional and scientific defenses. While the charge is pending, it is often helpful to voluntarily start substance abuse counseling or attend Alcoholics Anonymous meetings. If the AA option is chosen, it is important that you get sign in sheets to prove you did attend the meetings. This will show that you are serious in dealing with any addiction issues you may have. It is very important to get a substance abuse evaluation in order to determine if there are substance abuse/addiction issues and if so, how to deal with them most effectively. If there are not issues, the substance abuse evaluation will be a great tool to show the judge and prosecutor that the incident is isolated and not an indication of a larger problem. If you enter into a program, commit to it. The judge will not be impressed if there was minimal effort shown. Do not rely on your family or friends that have had drunk driving charges in the past for advice as to what to do. It is in your best interest to contact an attorney who specializes in defending charges of drunk driving in Michigan before you start a course of action. This way you will make the final decisions based on what course of action is best for you. What if I am not guilty of OWI? It is imperative that you start working on your defense early on. Most police departments have in-car videos and videos of the booking area at the police station. Most police stations only keep these videos for a limited time, so it is important that someone requests they be preserved. In the event that there may be evidence that is favorable to you, the recordings may be lost or destroyed even earlier. An experienced lawyer handling DUI cases will know how to preserve the evidence that can be used to help defend you or mitigate the charges. A great OWI defense attorney will have years of experience, advanced training and a track record of success in fighting these cases. If your license was suspended because of a OWI arrest, or you refused to take a breath test, do not drive unless you first obtain a hardship license. If you are caught driving while you license is suspended – then you have committed a new offense while on bond and probation may no longer be an option for you. The next thing should be obvious…but DO NOT drink alcohol or use illegal drugs while your DUI case is pending. If you need to avoid temptation – then avoid your “‘party” friends, avoid bars and nightclubs, remove alcohol from your home and avoid posting “party” pictures online. This could also result in new charges and possible denial of probation. Contact an experienced lawyer that handles charges of drunk driving in Michigan to advise you of your best course of action. It may be possible to get your driver’s license reinstated or avoid it from being suspended. There will be fines and court costs accessed and the amounts vary from court to court and the seriousness of the offense. There will also be administrative fees and legal fees. Many courts make the entire amount of fines, costs and administrative fees due immediately upon sentencing. 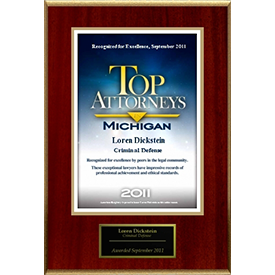 Consult an attorney who handles offenses of drunk driving in Michigan to determine what the costs may be. Michigan has some of the toughest drunk driving laws in the United States. You should never face a prosecutor or judge without the best legal help you can get. The attorneys at the law office of Lewis & Dickstein, P.L.L.C. have decades of experience defending alleged drunk driving in Michigan. 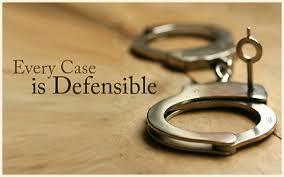 Representing people charged with criminal offenses is all we do. Our lawyers are well respected and have a reputation for winning. Please call us for a free consultation at (248) 263-6800.